This episode is brought to you by Fertile Minds 29 Meditation Challenge. Take the challenge and feel what it's like to go from frustrated to patient, from lost to centered, from resentful to empowered and at home in your body. If you are feeling frustrated and wish you could experience feeling more patient this challenge is for you. If you are finding yourself resentful and want to feel empowered in stead this challenge is for you. 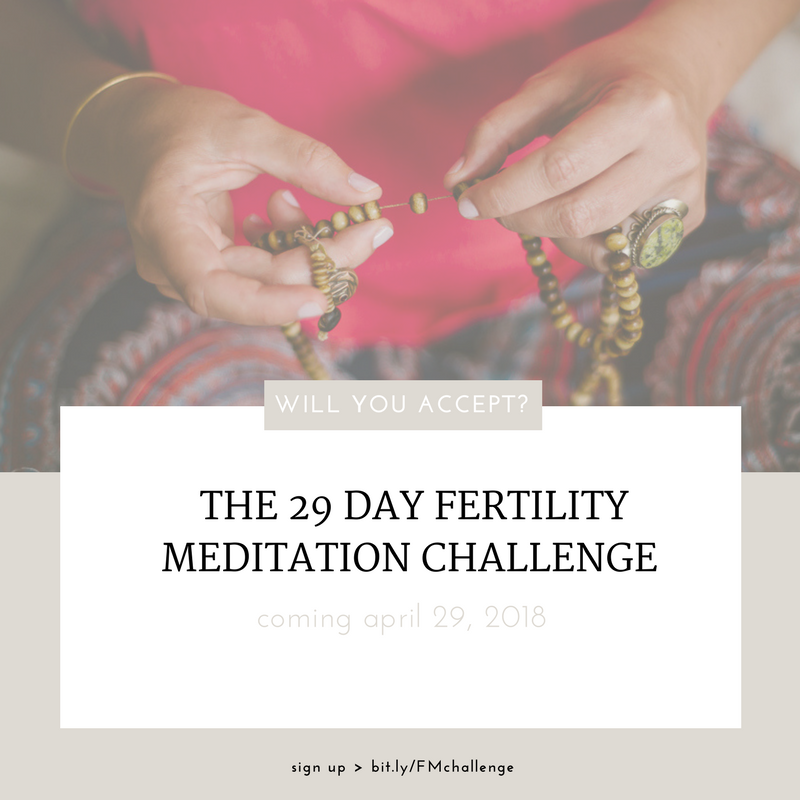 If you are feeling lost and overwhelmed with all things fertility and long to be more centered during the process this challenge is for you. You'll learn how to shift your attention from the future to the present moment helping you to feel more fulfilled and patient with the process, your life, your partner and maybe even God. You won't know though until you commit to the challenge. I'll be there with you every step of the way, one complete menstrual cycle, until it becomes your new favorite habit. https://www.ncbi.nlm.nih.gov/pubmed/24473986 Probiotics in the prevention of recurrences of bacterial vaginosis. Parma M, Stella Vanni V, Bertini M, Candiani M.
https://www.ncbi.nlm.nih.gov/pubmed/28969122 Comparative Study on the Vaginal Flora and Incidence of Asymptomatic Vaginosis among Healthy Women and in Women with Infertility Problems of Reproductive Age. Babu G1, Singaravelu BG2, Srikumar R3, Reddy SV4, Kokan A5. *Disclaimer-You must not rely on the information in this podcast as an alternative to medical advice from your doctor or other professional healthcare provider.If you have any specific questions about any medical matter you should consult your doctor or other professional healthcare provider. If you think you may be suffering from any medical condition you should seek immediate medical attention. You should never delay seeking medical advice, disregard medical advice, or discontinue medical treatment because of information on this website or in this podcast.